I have recently bought this machine(one month before). Used few times only. It was working properly. Suddenly one day, firmware not loading. Screen struck in loading page. Then I tried to restart the machine, change all the three module. Still same issue. If anyone had the same problem, please help me to solve. Since then I am trying to contact customer support in all the ways possible. I didn’t get any response. Have you contacted the overworked @Rainie ? Hi @faizal20 the support team should be overwhelmed with emails due to the holiday season. They shall be able to reply you soon. Sorry that I didn’t meet a similar problem before. It would be good if anyone else in the community can share his experience on solving this problem, too. What firmware file are you loading? I don’t know the exact version. It was pre installed, when i purchased the machine. How can I install another firmware when previous one is not working? Whenever I switchon the machine, firmware would not boot, struck in loading screen(screen image attached). Copy the Update.Bin file to the provided USB Disk. Power off the printer and insert the USB Disk into the USB port. Power on the printer. If the LED changes as below, the upgrade is successful. The blue LED blinks slowly for about 5 seconds. The LED is then off for about 2 seconds. The LED starts to blink quickly. The upgrade process is completed. Make sure the file system of the USB Disk is FAT32. Make sure you copy the correct .Bin file (Update.Bin). Make sure the USB Disk is properly inserted into the USB port. If you are not sure, remove the USB Disk and insert it into the USB port again. The printer MUST be powered off when you remove and insert the USB Disk. Make sure the .Bin file is put in the root directory of the USB Disk. The controller cannot recognize the .Bin file if it is put in a folder. Just now noticed,blue LED light is not turning on at all. It used to turn on, when switching on the machine. Hi…that is exactly what has happened ! Relieved it hadn’t happened to only me - I hope everyone else it does happen to creates a support ticket to get this resolved ASAP. I have projects I’m in the middle of and now I have a completely bricked interface . Same! Have you had a solution yet? Yes! Snapmaker sent me a new controller at free of cost. Thank you faizal20! Will contact the warranty team now. 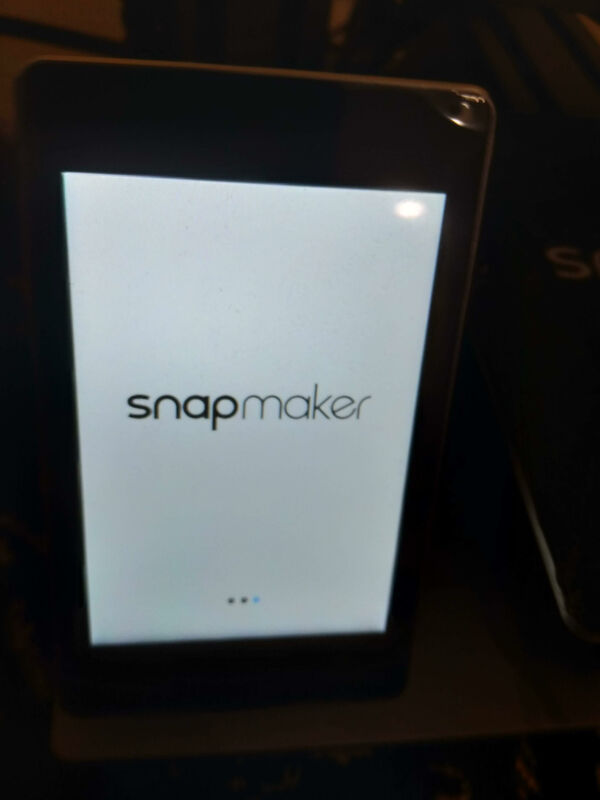 We suggest to do the troubleshooting by the instructions at:https://manual.snapmaker.com/3d_printing/faq/what-should-i-do-if-the-print-stops-suddenlythe-touch-screen-turns-to-the-reboot-white-screen-suddenly.html. Which will help you know where the problem is. Looking forward to your reply.